For those who enjoy watching the graceful white pelican soaring above Clear Lake or the colorful western grebe doing its mating dance, then the best method of seeing these incredible birds is by boat. Many seniors own their own boat but for those who don’t have access to one, a patio boat can be rented from Disney’s Water Sports in Lakeport. The patio boats are very easy to operate and offer a stable platform to view birds and wildlife while relaxing. Call 707-263-0969 for more information. Another option is to book a trip with The Eyes of the Wild tour agency. The pontoon boat seats up to 10 people and the guide is Faith Rigolosi. She is an experienced outdoor guide and her trips offer an excellent chance to view the abundant bird life up close. The tour agency has received a five-star rating from its customers. Call 707-262-2401 or 707-349-0026. One of the best hiking areas is the Clear Lake State Park in Kelseyville, located on Soda Bay Road. The park has several hiking trails offering easy access and it won’t challenge the hiker. The park also offers an excellent opportunity to view birds and other wildlife. The park is home to a wide variety of birds such as ospreys, hawks, pelicans, ducks, wild turkeys andeven bald and golden eagles. There are also deer and otters. Last year the park was recognized as the fifth best state park in the nation and No. 1 in the West. The park offers excellent security for hikers. If you would rather drive than boat or walk, an auto trip along the lake offers an excellent chance to view birds. Highway 20 from Nice to Clearlake Oaks has several turnouts where you can see birds and view the lake. There are also several parks where you can stop for lunch and refreshments, During the fall months, an auto trip to Lake Pillsbury provides an excellent opportunity to view wildlife. The road to the lake is gravel but can accommodate standard passenger cars. At the lake itself there is a large resident herd of tule elk. The elk normally stay at the north end of the lake by the old airfield. To reach Lake Pillsbury, take Highway 20 west to the Potter Valley turnoff. Follow the signs to the lake. It’s about a 45-minute drive from Upper Lake. are water, a snack, a camera, a pair of binoculars and a cell phone. Always tell someone where you will be going and when you will return. Lake County has an abundance of wild animals and they are commonly seen throughout the county. There have been a number of mountain lion and bobcat sightings in recent weeks and even a rare sighting of a white deer. A number of lakeside residents are also reporting seeing a lot of otters on their docks. There are even a pair of otters residing in the vicinity of Library Park in Lakeport. Otters have been in the lake for thousands of years. According to wildlife biologists, the otters in Clear Lake are river otters and probably migrated to Clear Lake by way of Cache Creek. The creek empties into the Yolo Bypass, which holds a large population of otters. Otters are very territorial and as ! the population in an area grows, a few otters are forced to leave and establish new territory. Otters can now be found in Clear Lake and Indian Valley Reservoir as well as at Upper Blue Lake and Lake Pillsbury. Otters are the largest member of the Mustelidae family, which includes mink, skunks, weasels and badgers. They live about 15 years in the wild. An adult otter weighs up to 25 pounds and can be as much as 4 feet long. The head is small and round, the eyes and ears are also small, and they have webbed feet. Their body is perfect for swimming. The mother takes complete responsibility for raising the young. The adult male is called a boar, the female a sow, and the young are called pups. Otters spend most of their life either in or around water. Their dense fur protects them from cold water and when they dive their heart rate slows to less than 20 beats per minute, which allows them to conserve oxygen and stay submerged for up to eight minutes. They are incredibly fast swimmers and have little trouble catching fish. At Clear Lake one of their primary foods is the crawdad. The docks in the Lakeport area are often loaded with crawdad shells. 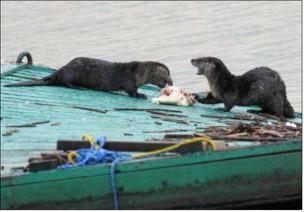 What happens is that the otters dive and bring up crawdads and then climb up on a dock to eat them. At one time trappers just about decimated the otter population because of their luxurious fur, but they have been making a comeback in ! recent years. Otters are playful critters and are enormously curious. Fishermen often report seeing otters swimming around their boats. A few years ago a bass fisherman said an otter climbed into his boat and went to sleep on the rear platform. The otter stayed there for about 15 minutes before waking up and diving over the side. Clear Lake is home to another animal that closely resembles the otter and is often mistaken for one. That animal is the mink. The mink has the same features as the otter but is much smaller. It’s often found al! ong the rocky shores at Buckingham and in Soda Bay. There is e! ven a mink living in the rocks at Library Park in Lakeport. A mink is one of the fiercest animals in the wild pound per pound. It preys on ducks and small animals such as rabbits and mice. They are cannibals and if agitated a mother has been known to eat her young. In the days when trapping mink was popu-lar, a mink would eat another mink that was caught in a trap. At one time the mink was prized for its fur. There are even commercial mink ranches where they are raised solely for their pelts. I trapped mink as a youngster growing up in Northern Minnesota. In those days a prime mink pelt would bring up to $40, which was a princely sum. I bought my school clothes by trapping mink, muskrat and beaver. Along ! with the many species of birds, the otter and mink are two other examples of the diversity of wildlife found at Clear Lake. Clear Lake is the largest natural lake within the boundaries of California, some one hundred miles around, and once of the most highly regarded fishing lakes in the country. Fishing tournaments draw many participants. On the extended holiday weekends in the summer, the lake draws hundreds of visitors to Clear Lake and Lake County. The tourists enjoy fishing and boating on the lake and picnics in our parks. Without question the primary attraction for visitors is the outstanding fishing on Clear Lake, but there are several other reasons thousands of people visit the lake. One reason is the outstanding public parks and boat launching ramps that are located around the lake. No other major lake in California has the quality or number of ramps that Clear Lake has. And the best part, with one exception, is they are all free. For example, it costs from $20 to $30 to launch a boat at nearby Lake Berryesa and the fishing isn’t nearly as good. 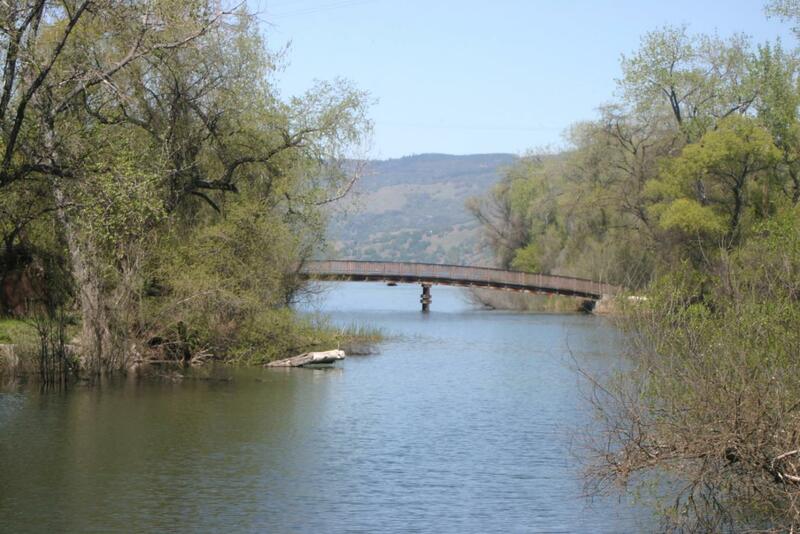 The cities of Lakeport and Clearlake, the county and the state operate a total of seven major public boat ramps and parks that are on the water. The result is there are ramps and parking areas at just about every location around the lake. Library Park in Lakeport has two improved ramps as well as an excellent lakeside park. Along with the ramps there are docks and a huge parking area for boat trailers. The park is one of the cleanest on the lake and draws thousands of tourists each summer. Lakeside County Park is located off Soda Bay Road south of Lakeport. This has become one of the more popular launching areas on the lake. On any given weekend the parking lot at the ramp is jammed with boat trailers. The ramp itself is excellent. This is another park that’s kept extremely clean and safe. The best part is that the park and ramp are located in some of the best bass fishing areas on the lake. There is also excellent crappie, bluegill and catfish fishing from the parks’ shoreline. The park also has an excellent picnic area where you can view all kinds of bird life. The next park is Clear Lake State Park. Unlike the county and city parks, you have to pay a launching and day use fee at the state park. The park offers an excellent boat ramp, picnic area and campground as well as several hiking trails. This park is also kept very clean and the fishing is excellent. It is also a safe place to hike or picnic. In fact, the state park was rated the fifth best in the nation and No. 1 in the West. Redbud Park in Clearlake has one of the best launching facilities on the lake. The ramp is huge and six boats can be launched at one time. The boat trailer parking lot is the largest on the lake. 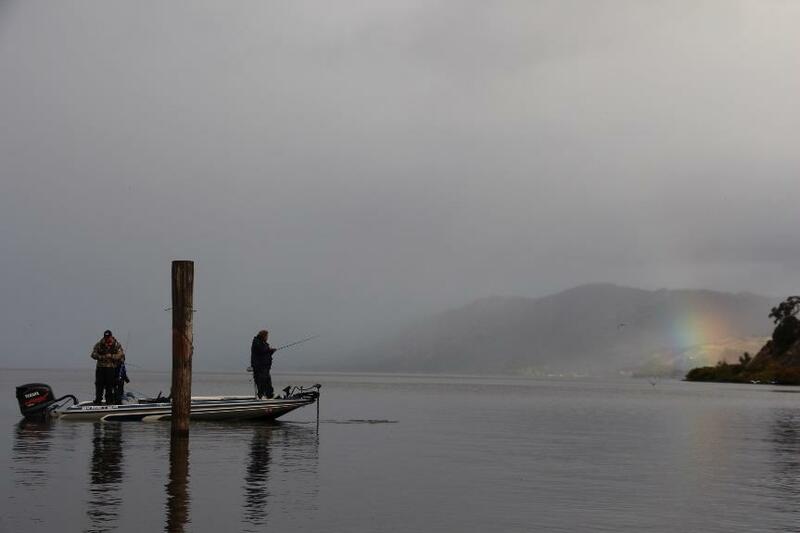 The county park and launching ramp at Clearlake Oaks is rather small but centrally located for fishermen who want to fish the area around Rattlesnake Island and the Clearlake Oaks Keys. The county park at Lucerne is popular among fishermen who want fish the Lucerne-Nice shoreline. The ramp is protected from the wind by a breakwater and has ample parking and rest rooms. The fishing is very good off the breakwater wall. There is a small ramp and park in Nice. The ramp is best suited for small boats. The park is a great place to have a picnic. In addition to the public ramps, a number of resorts offer boat ramps where boats can be launched for a small fee. The many launching areas around the lake make it ideal for small boaters who don’t want to battle the wind and waves to reach their favorite fishing areas. All they need to do is trailer their boat to the ramp that’s nearest their favorite fishing area. The other major factor is that all the parks and ramps around the lake are kept in excellent condition, which is a credit to our local park personnel. Despite the efforts of park personnel there are a few thoughtless people who litter in the parks. I saw this on Monday at Lakeside County Park where someone left a pile of trash on the docks. As mentioned earlier, the best part of fishing Clear Lake is you don’t have to pay a launching fee. All the other lakes in Northern California (both large and small) generally charge a launching and day use fee. In the past there have been suggestions that the county and cities charge a launching fee, but so far they’ve all been rejected. Hopefully this policy will continue. We have one of the best fishing lakes in the West and it’s all free. We also have plenty of wineries where you can relax and sip some of Lake County’s finest wines. You can’t beat that. The quail hunting season in Lake and Mendocino counties opens Saturday. Quail are a popular game bird among local hunters, one reason being there are thousands of acres on public land that offer excellenthunting. Lake and Mendocino counties hold two species of quail, California and mountain. Both can be found in abundance throughout the two counties, but California quail are the most popular. In fact, quail can be seen daily throughout the urban areas of both counties. 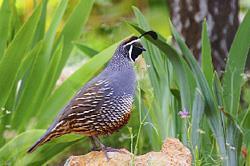 The California quail is the official state bird and is widely distributed throughout the state. The male is about 9 1/2 to 11 inches long and is more colorful than the female. He has a black throat circled with a white line, and the top of his head is dark brown with a plume of short and black curved feathers set at a cocky angle. A chestnut patch is in the middle of the stomach. His breast is scaled and his flanks are streaked with white. The female is mostly brown and the breast is scaled. The female does have a plume, but it is not as showy as the male’s. The average weight is approximately 6-7 ounces for both sexes. Unlike many other species of wild birds, quail are monogamous in that the male takes only one female for the season and assists in raising the young. They are always found near water and will be found mainly in the lower foothills. The average size of a covey for California quail is from 10-12 birds and they are considered the noisiest of all the quail. They are constantly chirping and peeping while feeding. If disturbed, they give an alarm call and after being scattered they will give an assembly call for the covey to regroup. Hunters often use this constant chattering to locate the birds. My favorite quail is the mountain quail, which is also native to Lake and Mendocino counties. Unlike their California quail cousins, mountain quail have much smaller coveys, averaging from six to eight birds, and they are much larger, averaging 8-10 ounces. The males and females closely resemble eachother and can be identified by the long and slender erect plume feather ontheir head. Unlike other quail that migrate by flying to lower elevations, most mountain quail walk. Some have been known to walk as far as 20 miles from their summer grounds to their wintering area. A ready source of water is critical for quail to survive. They will gather around a spring or creek and spend a good part of the day there. When there is a drought, as we have had the past five years, the quail population decreases significantly. Like all wildlife, quail have a short life expectancy. Less than 25 percent of the quail hatched will live a year. Disease, lack of food and predation by hawks, eagles and other predators takes a tremendous toll of the birds. closed because of the recent wildfires. Hunters can go the Mendocino National Forest website for the latest updates on which areas are closed and which are open. Quail also can be found at Indian Valley Reservoir and in the Cache Creek Wildlife area. The hunting season runs through Jan. 27 and the daily limit is 10 with a possession limit of 30. In addition to a hunting license you must also have an upland game stamp. This will be the last year that lead shot can be used on quail. Starting next year only non-lead shot will be permitted. One of the treasures of Clear Lake is its abundant bird life. There are literally hundreds of different species of birds occupying the lake. One of the more noticeable and popular is the American White Pelican. During the summer and fall months dozens of white pelicans can be seen cruising the lake and looking for baitfish. Years ago only a few of these great birds would annually visit Clear Lake, but in in the past 10 years the population of white pelicans has skyrocketed because of the explosion of threadfin shad and other baitfish in the lake. White pelicans are large birds and can weigh up to 20 pounds. They have a 9 1/2-foot wingspan. In spite of their huge size they sit high on the water because their bones are full of air and they have large air sacs in their body. Because of this, they cannot dive underwater. Their primary food is fish and crustaceans. An adult pelican can consume up to 5 pounds of fish per day and live to be 25 years. Pelicans have a yellowish pouch connected to the bottom of their bill that stretches up to six inches. Their bodies are solid white with black wing tips. During the mating season the male develops a large growth on the upper part of his beak. The bill is also bright orange during the mating season. Their feet are orange and are webbed. Their legs are extremely short. A pelican has a hard time walking on land. Unlike other species of pelicans, which dive for their food from great heights, the white pelican scoops small fish up into its pouch while swimming. The pelican dips its beak, which allows the water to drain out of the pouch. The pouch can hold up to three gallons of water. It then tips its bill upward and swallows the fish. How they actually catch their fish is what makes the birds so fascinating. A flock of a dozen or more pelicans surround a school of baitfish and flap their wings on the surface of the water, driving the fish into the shallow water where the birds scoop up the fish. You could see this take place just about every morning during a recent stretch at Library Park in Lakeport. several hundred yards. When in a flock they usually fly in a single file or a v-shaped format. Their flight is oftendescribed as follow the leader because if the lead bird makes a dip all the other birds make the same dip. of the chicks survives because the strongest of the chicks will harass or kill the weaker one. Pelicans can be seen throughout the lake but two of the better areas are the sandbar just outside of Clear Lake State Park and the sandbar at the mouth of Adobe Creek. 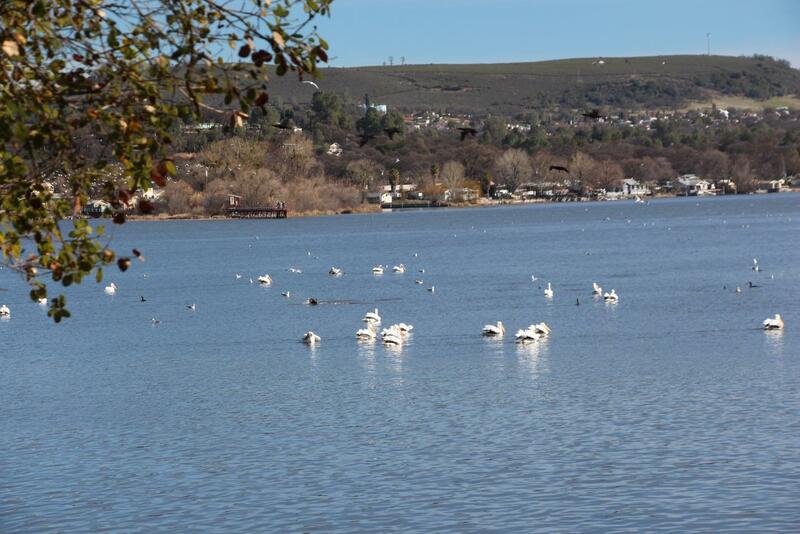 Pelicans also occasionally visit Indian Valley Reservoir and Lake Pillsbury. The spring wild turkey hunting season gets underway Saturday throughout California. Whereas deer hunting and waterfowl hunting have been in a steady decline for a number of years, turkey hunting continues to grow in popularity. One reason is availability of the big birds. Wild turkeys are now found in all but a few counties across the state. The population in Lake County has grown so fast that they are becoming a nuisance in many areas The season runs through May 5 with a two-week extended season for archers and junior hunters. Hunting hours are onehalf hour before sunrise until 5 p.m. The bag limit is one bearded turkey per day and a total of three for the season. This year, non-lead shot will be required for turkey hunting. Shotguns, archery and pellet guns that are .177 caliber or larger can be used. Leaded pellets in pellet guns are legal because they are not classified as firearms. Lake and Mendocino counties are considered the hub of wild turkey hunting in the state. Wild turkeys can be seen in just about every corner of both counties. 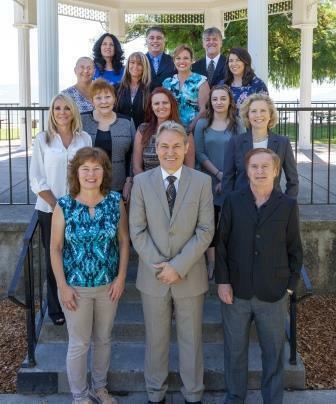 In fact, they are commonly seen within the city limits of Lakeport and Clearlake. Despite what many people believe, wild turkeys have only been in the county for approximately 40 years. The spring wild turkey hunting season opens Saturday throughout California. Lake County is loaded with the wild birds. The two species of wild turkeys in California are the Rio Grande and the Merriam. Both exist in the county. The Rio Grande is the most common bird and is found at the lower elevations. The birds seen along the roads in the county are Rio Grandes. The Merriam is a mountain bird and the only ones in the county are found on Hull Mountain near Lake Pillsbury. Wild turkeys belong to the Galliformes class of fowl and include grouse, pheasants and quail. Weighing up to 25 pounds, the turkey is the largest game bird in North America. 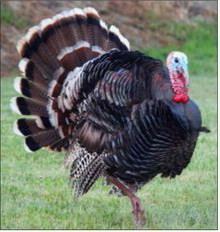 Wild male turkeys are called gobblers or toms. A juvenile male is called a jake. The adult female is called a hen and an immature female is called a jenny. The male can be identified by his bright red head, beard and spurs although a few hens also have boast beards. They are polygamous, meaning the tom will breed with any willing hen and does not assist in raising the young. The breeding season starts in early March and runs through April and sometimes into May. The adult tom breeds with as many hens as he can entice. He attracts the hensby gobbling and strutting. Each flock normally contain eight to 10 hens, two or three jakes and at least one adult tom. The toms will fight during the breeding season and have been known to kill other toms by spurring them. They have even been known to attack humans during the breeding season. With rare exceptions, a tom has what is called a beard that protrudes from its breast. The beard is actually a set of stiff feathers and grows continually throughout the bird’s life. To a hunter, a trophy beard is one that is at least 9 inches or longer. Occasionally a hen also has a beard but it’s normally smaller than a tom’s. The tom also has spurs and only the tom is capable of making a gobbling sound. The hen selects a nesting area, usually at the base of a tree or beneath a log, and builds a nest out of leaves and other debris. She will lay an egg or two a day and then return to the flock. In about two weeks the clutch will hold from eight to 10 eggs and at that time she will leave the flock and incubate the eggs for 28 days. The young are all hatched within a day or two of each other. After being hatched, the hen will take the young from the nest to feed on small seeds and insects. All turkeys roost in trees at night to protect themselves from predators. They fly up to the higher branches just before dark. It’s amazing to see a 20-pound turkey sitting on the highest branch in a tree. They are capable of hanging to the branch in even the fiercest windstorms and will remain in the roost tree until daylight. At the age of about 10 days the chicks are capable of flying up into the roost tree where they join their mother. The hen will fly up first and then call to her chicks to join her. While the Mendocino National Forest is a popular hunting area for turkeys, parts of the national forest are now closed because of last summer’s wildfires. Hunters can check which areas are open by going to the Mendocino National Forest website. The breeding season starts in early March and runs through April and sometimes into May. The adult tom breeds with as many hens as he can entice.